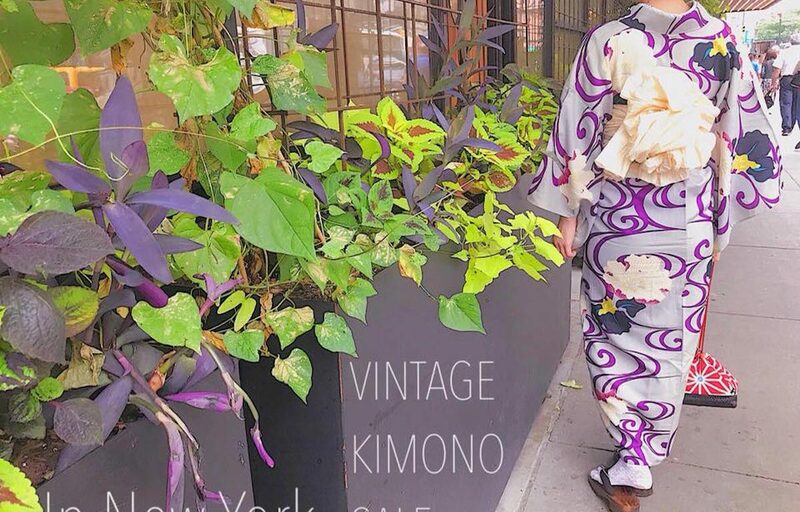 Saturday, July 21 from 11:00 a.m. until 4:00 p.m.
Kaede NYC, a fashion consultancy that specializes in Japanese kimono rental and styling, invites everyone to find great deals at their ICHI vintage kimono sale. “ICHI” means “market” in Japanese, and Kaede NYC is offering discounts of up to 50% off their inventory. They have a variety of kimono and accessories for tea ceremonies, wedding ceremonies, festivals, cosplay, and more. This event is a great opportunity to assemble a new outfit, add to your existing collection, and meet fellow kimono enthusiasts. Founded on the belief that fashion and culture are truly universal and meant to be shared, Kaede NYC caters to both the Asian and US markets. Their team of expert stylists will help you find the best look for yourself from start to finish, giving you a style that emphasizes both the traditional and the modern aspects of Japan’s national garment. In addition to selling kimono and accessories, Kaede NYC also offers rental packages, dressing services for photo shoots and weddings, and kimono and yukata classes and workshops. For more information, please visit Kaede NYC’s Facebook event page.